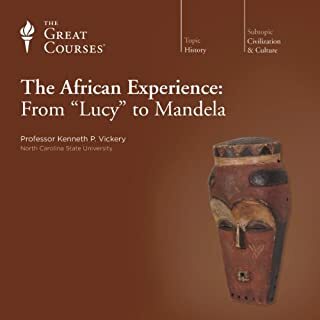 Immerse yourself in this epic story with 48 exhilarating half-hour lectures that cover the scope of Mesoamerican history and culture. You'll focus mainly on the Maya, who have been in Mesoamerica for thousands of years, and the Aztecs, who mysteriously appeared late and rose swiftly to power. The Aztecs fell from power just as precipitously; their empire controlled the region for less than a century, until the arrival of the Spanish in the early 1500s. Why were the Aztecs so quickly defeated by the conquistadors, while the Maya resisted the invaders for generations? Although the Spanish eventually conquered all of Mesoamerica, much remains of the original cultures. Beautiful artifacts fill museums. Impressive ruins dot the landscape. And millions of descendants of ancient Mesoamericans still live in their ancestral homes, speaking native languages and practicing time-honored traditions. The countries from Mexico to Costa Rica include more than a dozen UNESCO World Heritage Sites related to the pre-Columbian period, plus scores of other ancient sites that are equally worth a visit. 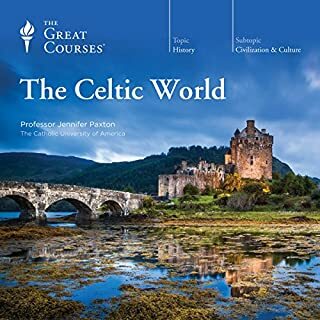 This course is the ideal way to plan an itinerary, prepare for a tour, or simply sit back and enjoy a thrilling virtual voyage. You will be surprised at the number of sites to explore - many more than you could possibly see in months of travel. Your guide is Professor Barnhart, a noted archaeologist whose exploits include the discovery of a lost Maya city. I really enjoyed this. A very thorough and impartial look at all the cultures that preceded ours in South & Central America. 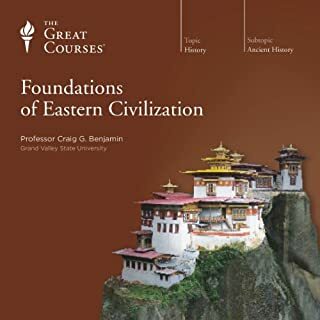 I listened to this course before I spent a month in Mexico City. I also listened to it as I went threw the Mexico City anthropology museum. Can’t really find words for how much richer my experience was. This is a beautifully written book; I learned a great deal from it. 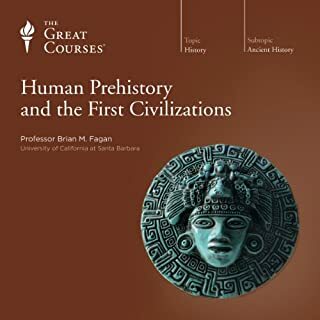 Be aware that it's not for beginners; I was grateful for my background in Mesoamerican studies. The narrator was superb; he helped me a great deal with my pronunciation. 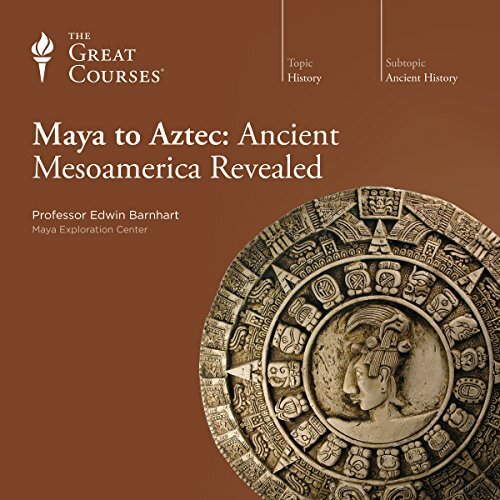 Where does Maya to Aztec: Ancient Mesoamerica Revealed rank among all the audiobooks you’ve listened to so far? I would say this book ranks among my top 3 for non-fiction content. 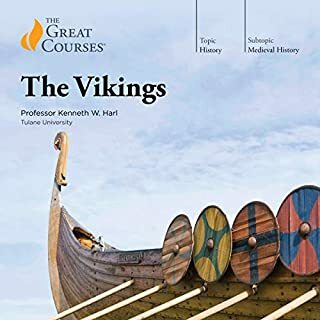 It's possibly ranked 1st in regards to presentation and narration by Professor Edwin Barnhart. 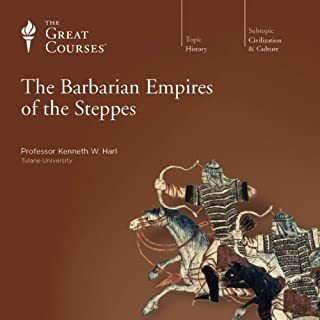 I would have to say that Dr. Barnhart's narration has been the most enjoyable I've heard yet among the Great Courses. The only other narrator I've enjoyed listening to on this level has been Will Patton. The lack of slurps, burps, "ah's and uh's", hard mouth candy, vocal fry, and "sing song" speaking has been refreshing. There's no particular favorite. I've enjoyed the entire presentation. I've enjoyed all of the chapters. 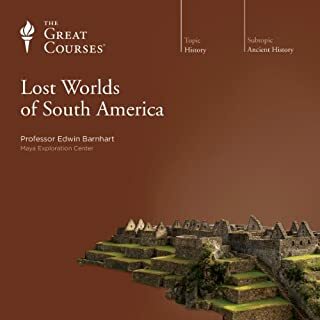 Having traveled Central America and visiting several of the sites mentioned in his lecture, I've been inspired to plan another trip to the area after gaining another level of appreciation for the Mayan artifact's that we can so easily stroll through today thanks to the efforts of men and women such as Professor Barnhart. I can't say enough how pleased I've been with the overall presentation and content of this lecture. 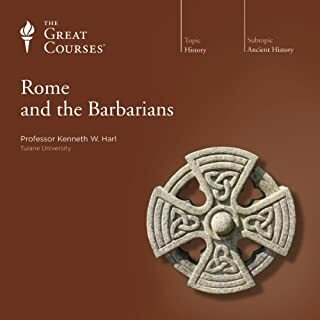 I look forward to purchasing the other lecture that is available here on Audible from Professor Edwin Barnhart. What did you love best about Maya to Aztec: Ancient Mesoamerica Revealed? Professor Barnhart in an expert and the research is up to date as of the spring of 2015. 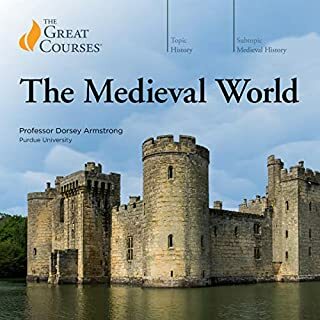 As with any Audible purchase of Great Courses material, you suffer from not having a study guide. 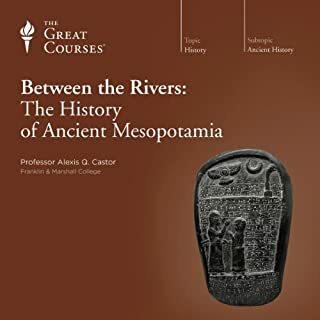 These lectures are not designed for people with only a passing interest in the topic, but if your study of the word has neglected Mesoamerica, this is the definitive listening experience. 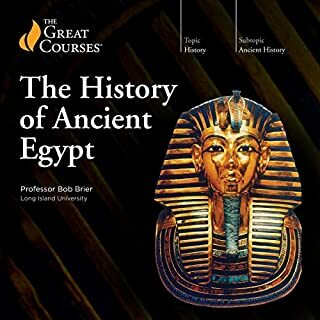 This course is tops for how much I learned, right after the course on Ancient Egypt which is also excellent. Between kindergarten, grade school, high school, and college I have 17 years of schooling plus lots of post-graduate learning. And during all those years, I learned NOTHING about the ancient America's. So little, in fact, that I was really interested in learning about the Inca. I saw the title and thought this would include information about the Inca. Nope. I had to laugh at my own naivete. The very fact that I made that mistake meant that I very much needed this course. I knew NOTHING about Mesoamerica. 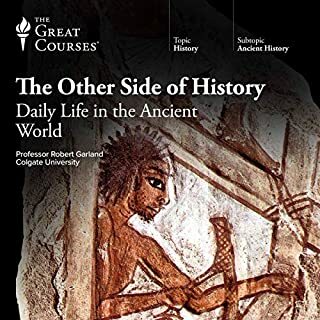 All that schooling, and even though I live in the America's, we never once in all those years discussed anything substantive about ancient America. It's a travesty of our educational system. But this course set things right. 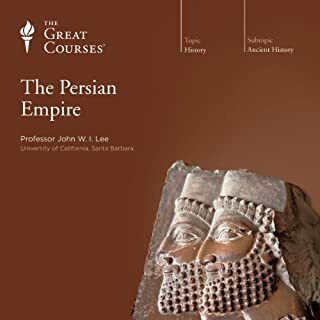 This is a fun and enjoyable course. But it is not an easy course. I found it very difficult to keep track of the names of places and people because they were so strange to me. So just be forewarned that you will really need to pay attention to names. It helps to have a map so you can find these places and have a better idea of how everything fits together. 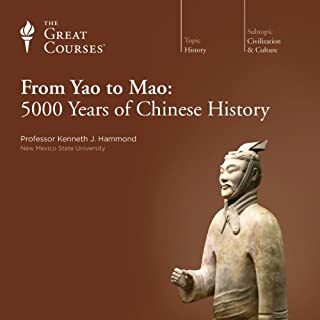 I listened to these lectures in preparation for a vacation to the Yucatan. Professor Barnhart transmits his own wonder over the Mayas to the listener. 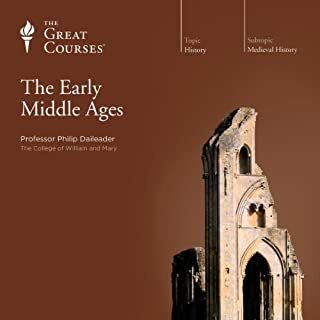 He relates the history with proper reference to the primary historical record, discusses where there is some uncertainty, and inviting the listener to join in the academic exploration. By the end of the series, you might be tempted to pick up a shovel and join him on an archaeological dig. What was one of the most memorable moments of Maya to Aztec: Ancient Mesoamerica Revealed? The discussion of Mayan mathematics and calendar revealed how incredibly advanced the Mayans were in these areas. It demonstrated how knowledge burgeoned in the New World, in parallel with the Eastern world. I always have been. From the Ancient Mayans...Jaguars.....the pyramids...the Caribbean...the Pirates....modern Mexican culture...the food...etc. The whole nine yards. 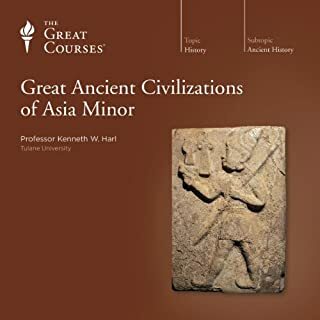 This epic lecture series has reawakened my passion for understanding the mystery and rich cultural life of this place. I can't wait to learn more. I recently visited Mexico for the first time at Tulum and also climbed a pyramid at Coba. It was incredible. 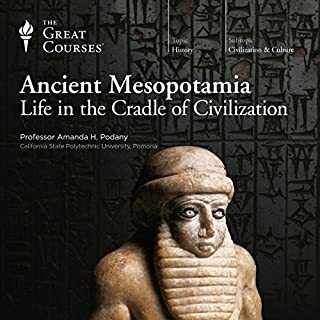 If you're really into this stuff like me you'll enjoy this thorough look into the lives of the pre-Colombian Meso American people. This is, no doubt, a great listen. It's clear that Prof. Barnhart knows, feels and loves Mesoamerica, a subject that has always fascinated me. I would suggest to attach some pdf maps. There are so many names, so many different places and connections that sometimes it becomes a bit hard to follow. Anyway, it is inspiring to know that there's so much yet to be found... and it makes me want to go to Mexico again. I have listened several times, as preparation make a trip more meaningful. Couldn't recommend it more enthusiastically. very dense with information. I felt I needed a text to go along with the lectures to track timelines, see pictures, maps, etc.